The day before Emma’s first chemo I knew that I had to physically DO something or I was going to go mad! My sister (Karen) turned up with her juicer and we went shopping for organic carrots. I knew, from somewhere in the recesses of my mind, that it had to be 2 kilos of carro ts. I began juicing 2 kilos of organic carrots with about an inch of fresh ginger root. This amount makes about a wine bottle full (750 ml) of juice, depending on your juicer. We had to buy a new one on Saturday as the one I borrowed off my sister blew up in a puff of smoke. It served us well! So, I’m getting used to the new juicer, will let you know what I think. 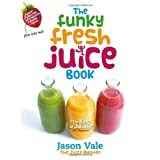 It’s a Jason Vale one that comes with an awesome recipe book: The Funky Fresh Juice Book. I’ve since researched the studies on carrot juice’s effectiveness in dealing with cancer, along with numerous testimonials from people who are now cancer-free after following this programme/protocol. 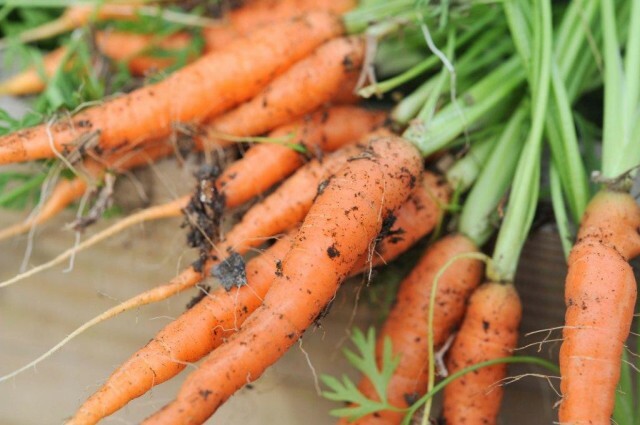 The effective ingredient in the carrots is falcarinol, which has been proved effective against cancer in lab experiments with rats and mice done in Denmark and the UK. Using carrots or falcarinol, Dr. Kirsten Brandt and colleagues in the UK have retarded by a third the growth of tumors in lab rats injected with a carcinogen. Falcarinol is a natural pesticide in carrots. It protects roots from fungal diseases, such as liquorice rot that causes black spots on the roots during storage. Dr Brandt suggests drinking 5 cups of carrot juice daily. I couldn’t find that info in writing but I just heard it on a radio programme where a lady called Ann Cameron was being interviewed. She’s written a book called Curing Cancer with Carrots.I’ve downloaded onto Kindle but haven’t had chance to read it yet… it’s on my list! Carrots have anti-inflammatory properties. Cancer creates inflammation and the inflammation stimulates more cancer. It’s a vicious cycle. The falcarinol in carrot juice interrupts this cycle, which can stop the cancer.